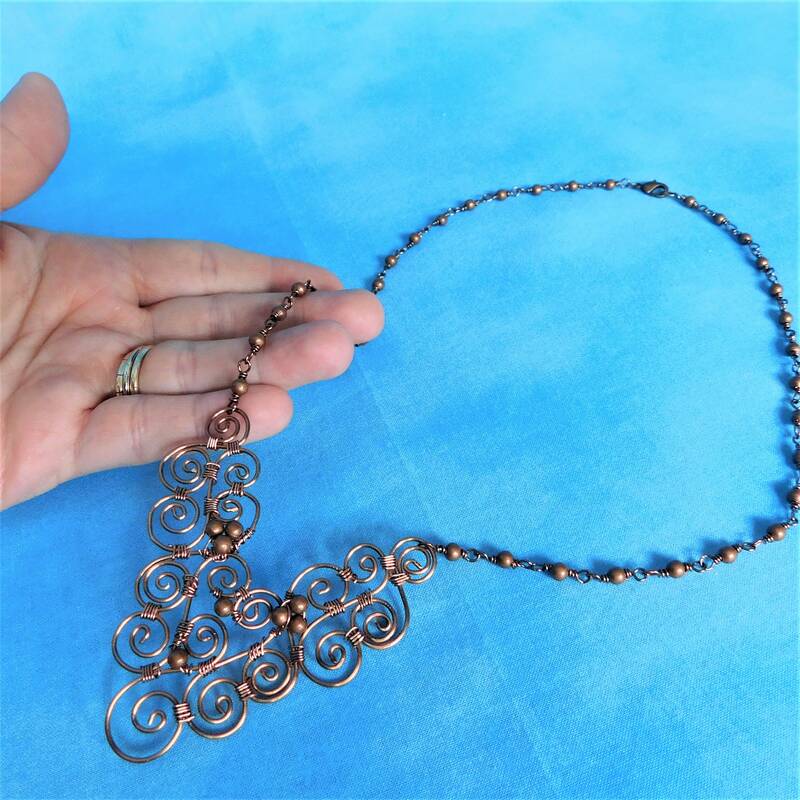 Total length of the necklace is 22 inches (Length can be customized upon request.) 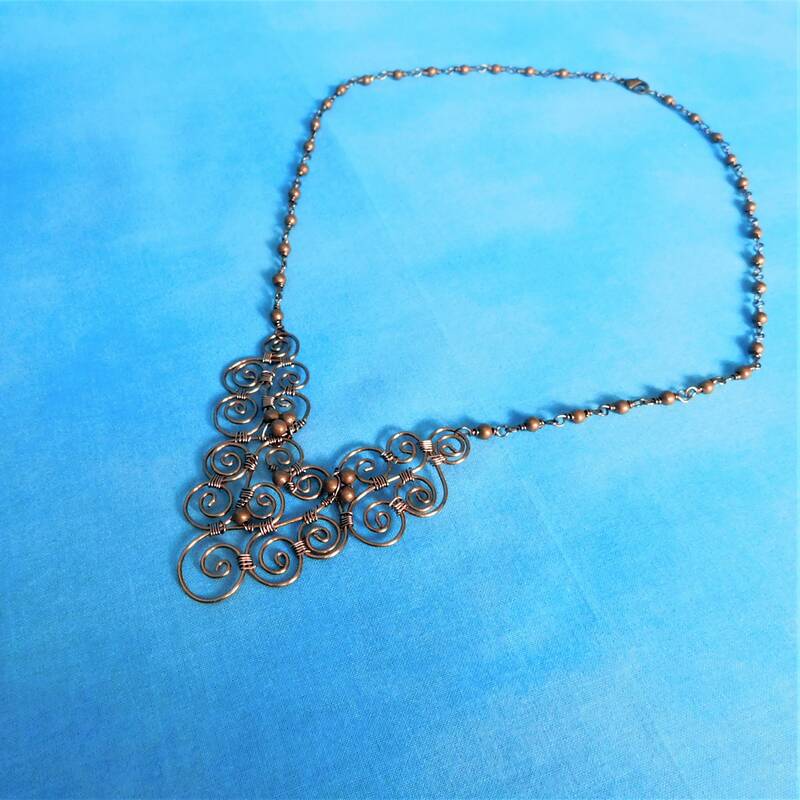 This simple and elegant necklace can be worn with many styles and colors of clothing. 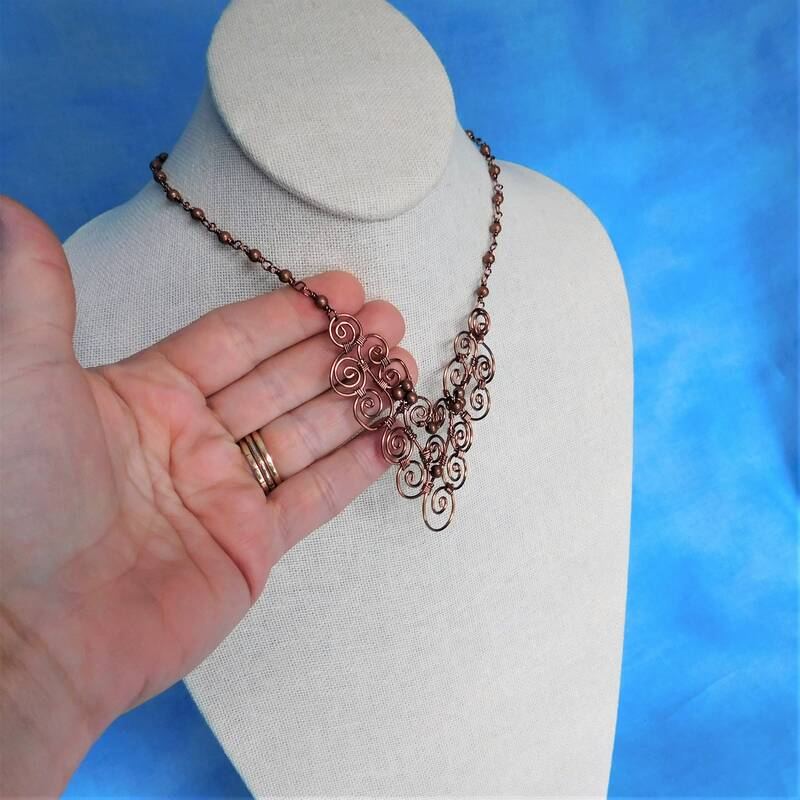 It is a timeless and lasting design that will be favored in a woman's jewelry collection for years to come. 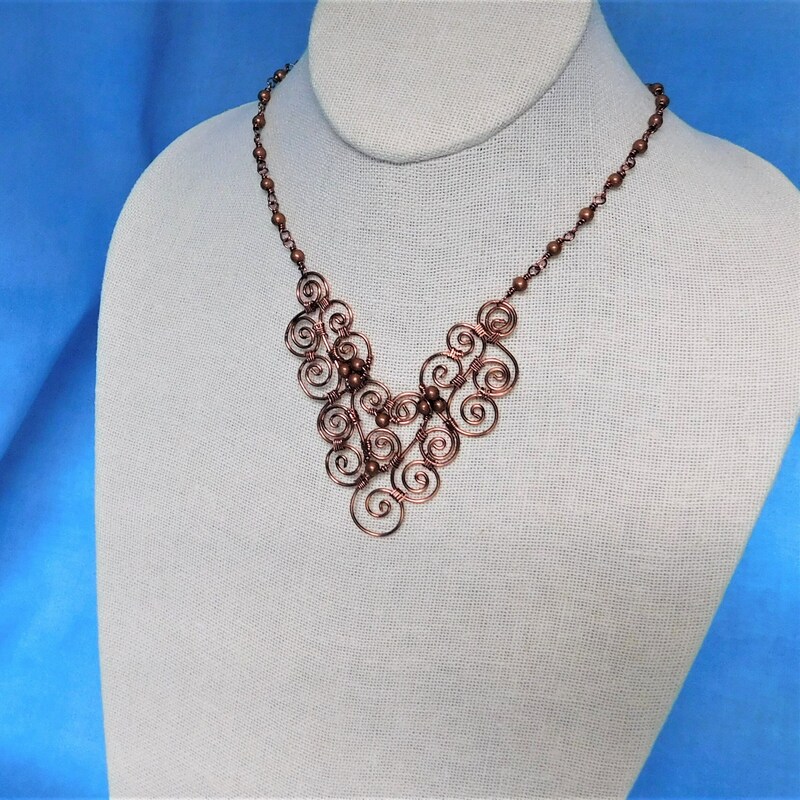 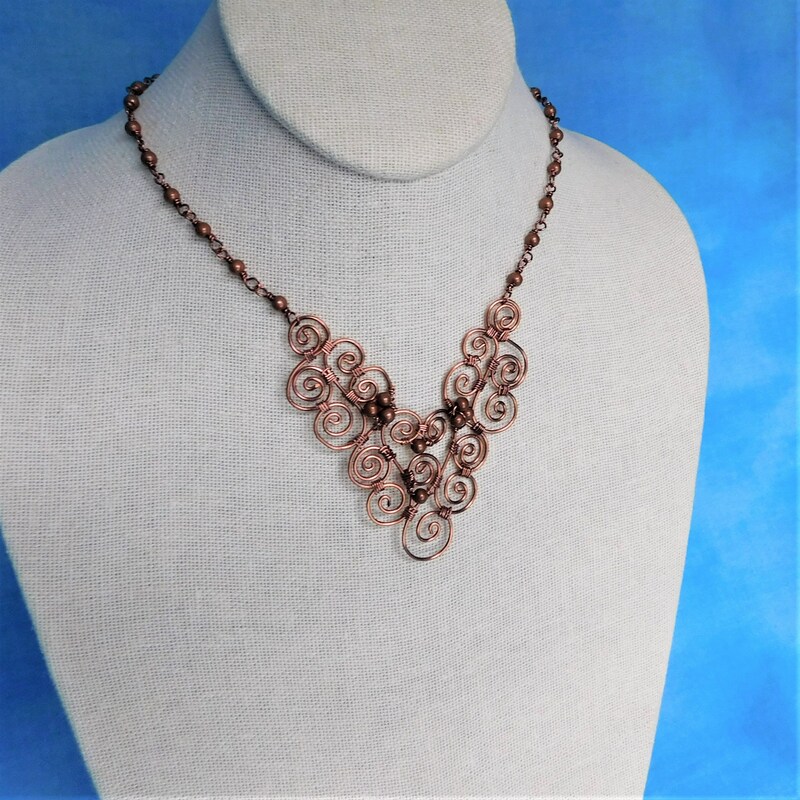 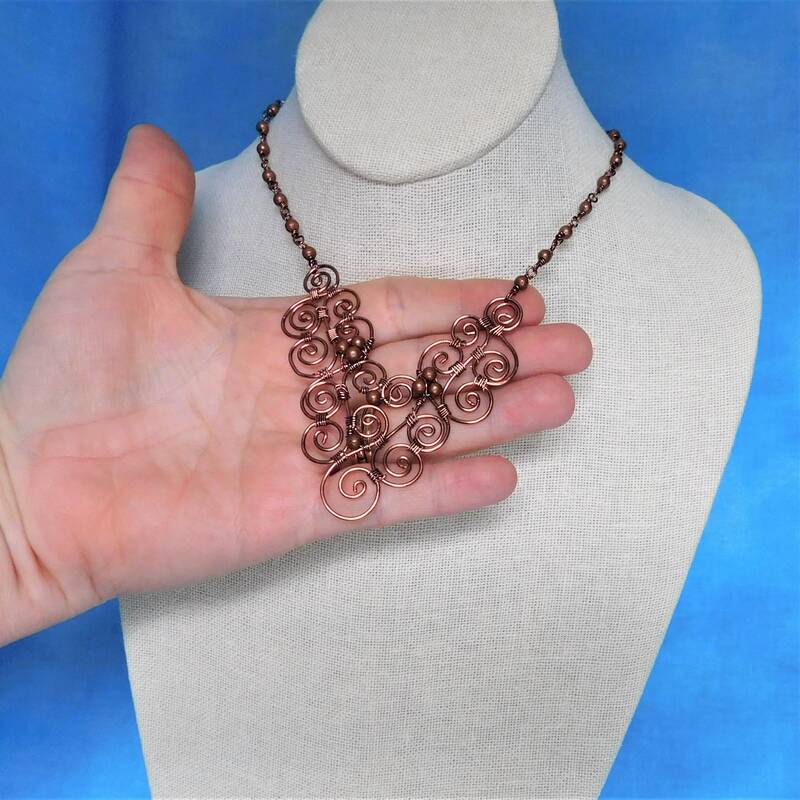 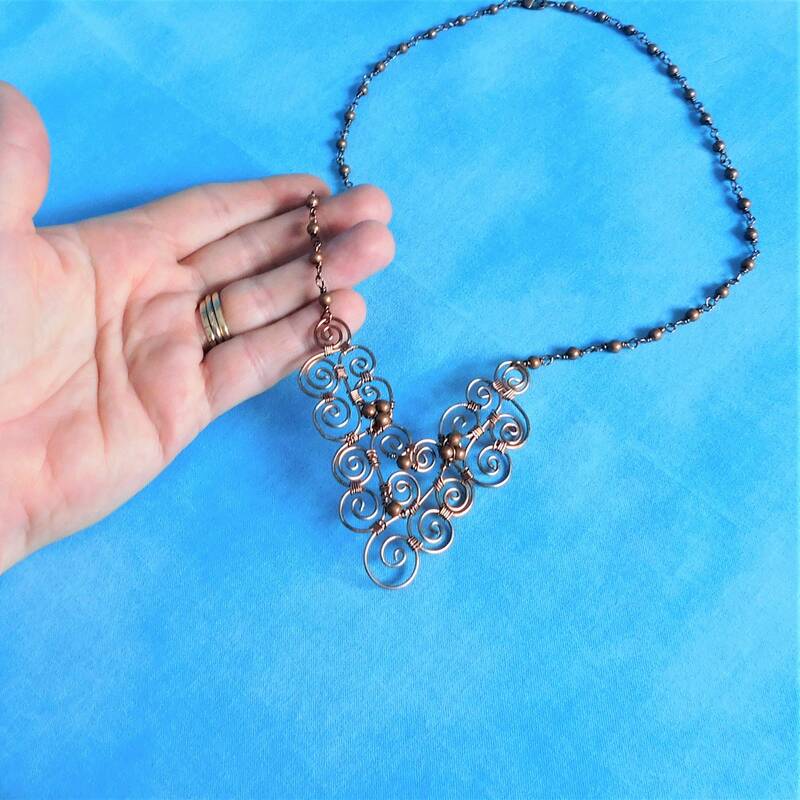 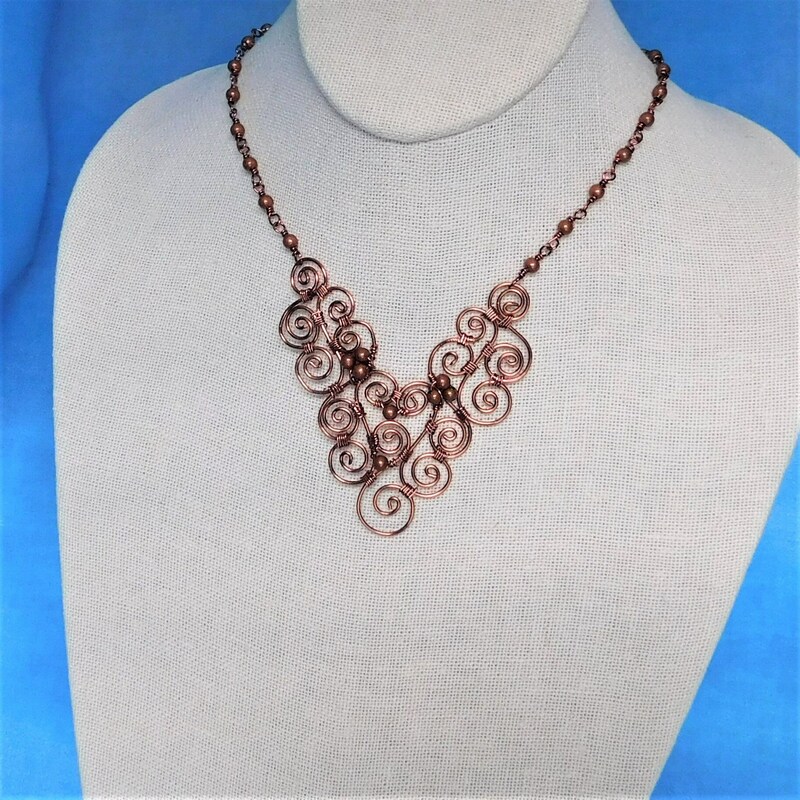 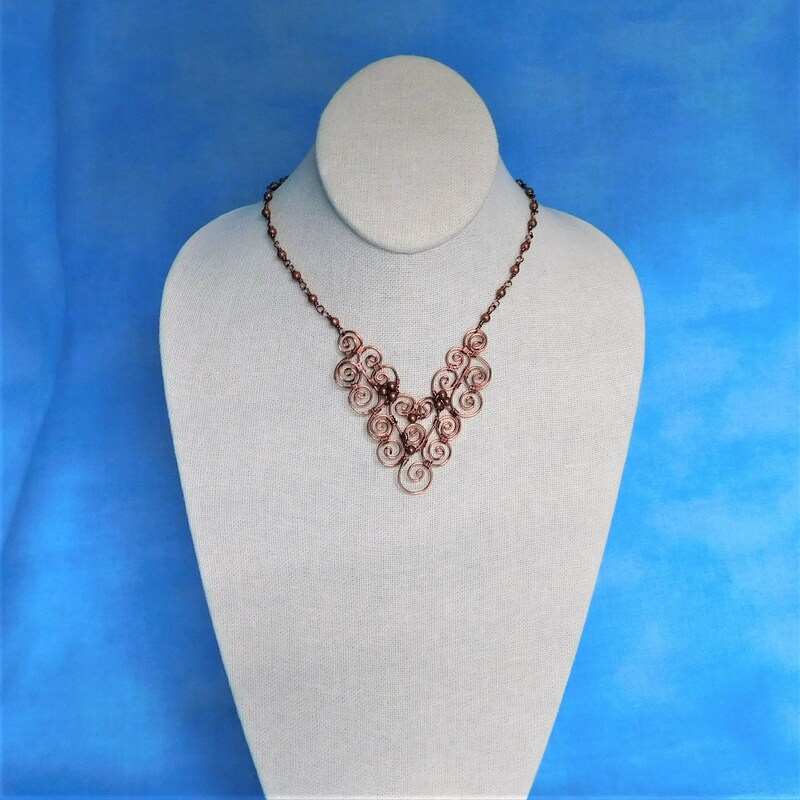 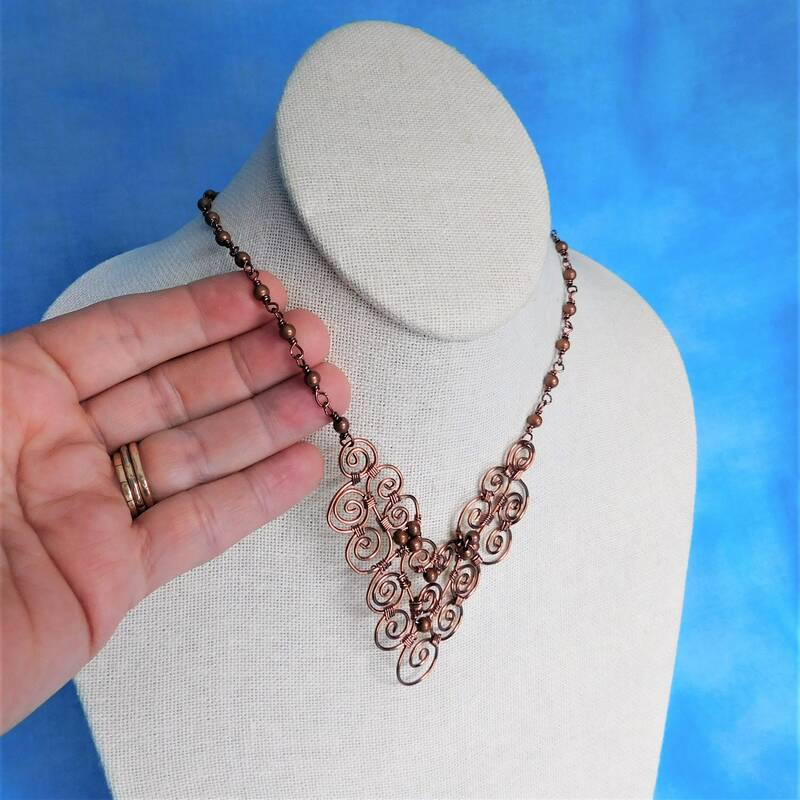 Since Copper is the symbol of the 7th wedding anniversary, this one of a kind copper necklace would bring special meaning to that particular gift giving occasion.